their struggles, support their peers, and simply have fun as they learn about what it means to have a relationship with Jesus. Phos is Greek for "light, illuminate, radiance". We challenge our students to radiate the love of God and to be a light in their community, home, school and church. We want our students to know the light, and show the light. 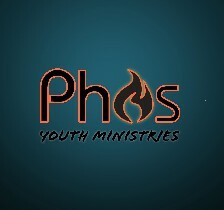 'Phos' meets every Wednesday 7pm at Foothill Church.